Eye Spy burlap and endless possibilities..
what do your Eyes Spy? Happy White Wednesday to you!!! oh, so many "I wants"!!!! KATE that bottle rack!!! OMG that is amazing! Your space is 50% off oh where is that darn rocket train to cali from vegas!!! I need it now. I wish I could get there. I see a few things that looks so great. BTW love your mason jars and your Christmas music. Hi Kate - I was at Country Roads last Saturday. My family went to Knotts Berry Farm, so I joined them in the morning, then got to Country Roads at 4. Unfortunately did not have enough time to enjoy all the vendors' spaces, but I saw yours. In fact, I bought your chippy, vintage scale which is now in my kitchen. I've posted a few photos of it in my blog today. I did not get the 50% discount though, but your prices are already fabulously priced. Stopping by from WW and happy holidays to you! Eye spy some lovely goodness in your booth. What I wouldn't give to be able to come down to Cali for this wonderful Sale.....50% off, you're killing me Kate. Now that you've confirmed it's your booth, I just edited my post and gave a shout out to Country Roads, your booth, and your very pretty blog. Great post and wonderful pictures of all your goodies at Country Roads and on top of all that 50% off--oh my goodness Kate you are awesome!! I'll be heading to Country Roads on New Year's Day :) Wishing you and your family a wonderful Christmas and many blessings in 2011. I spy my chandelier...I want it very badly, it is very coolio :) is it still available??? let me know. i am hoping to go the Long beach on Sunday....will you b there? Oh how I'd love to be there, always love to see your booth, you're such an inspiration to all of us!! Such a lovely post! I do wish I could come shop. Wonderful White Wednesday post!! I've been eying your yummy white rusty iron chadie in your space every time I'm in Country Roads! LOVE IT!~! Thanks for the heads up about the New Year's Day sale. Hope your having a wonderful Holiday season and thanks so much for stopping by my blog and becoming a new follower, I so appreciate it!!! Please substitute chandie for the above miss spelled chadie. Hi Kate ~ What fun! Sure I'll play. I spy a receipt a mile long from your shop because I can't make up my mind what I like more and with a such a great Sale, why choose - load me up baby. Hi Kate! Everything's beautiful as usual! I'm loving that rusty, crusty iron chandelier - it looks like I'm not the only one. And yes, shopping at Country Roads sounds much more fun than watching football all day, ha! What an awesome sale you'll be having. Wish I could join in on all the fun...I've been know to do a bit of shopping...ha ha!! Just wanted to drop by to wish you and your family a very blessed Christmas. May the special meaning and beauty of this day fill your hearts with joy. All my love to you, your mom and all your family. Feliz Navidad. HI Kate. <3 I hope you're having a happy Christmastime. Gorgeous photos as always! I think that big pillow with ruffles is just beautiful. 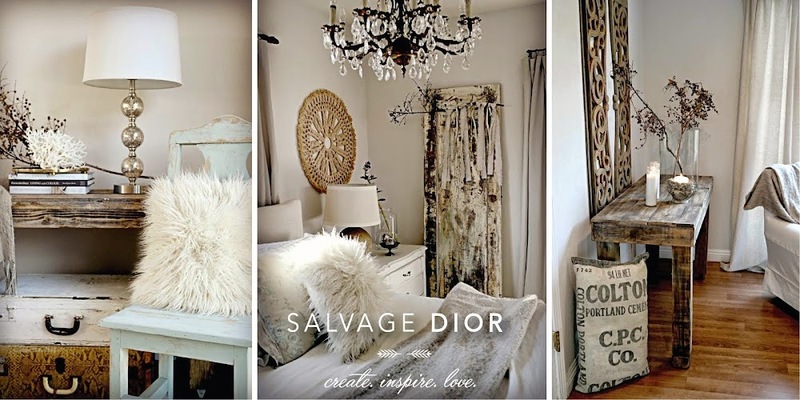 You're my number one resource for beautiful white inspiration. You always have such tasteful choices.